Four of our wonderful supporters are opening their gardens as part of the NGS Open Garden Scheme this year and have chosen PLANETS as their personal charity. The event is on Sunday 9th June 2019 from 1.00pm to 6.00pm in the village of Landford (just over the border of Hampshire and Wiltshire). If you would like to attend, please click on this link. Landford is a small village set in the northern New Forest, famous for the beauty of its beech and oak trees and freeroaming livestock. The 5 gardens range in size, planting conditions and setting. 3 are in the village, adjacent to Nomansland with its green grazed by New Forest ponies. The Gatehouse has formal herbaceous borders with exuberant planting and colour schemes in mixed herbaceous borders, looking out over paddocks to the forest. Bentley is a small garden, a green oasis containing a wide range of plants and raised vegetable borders. 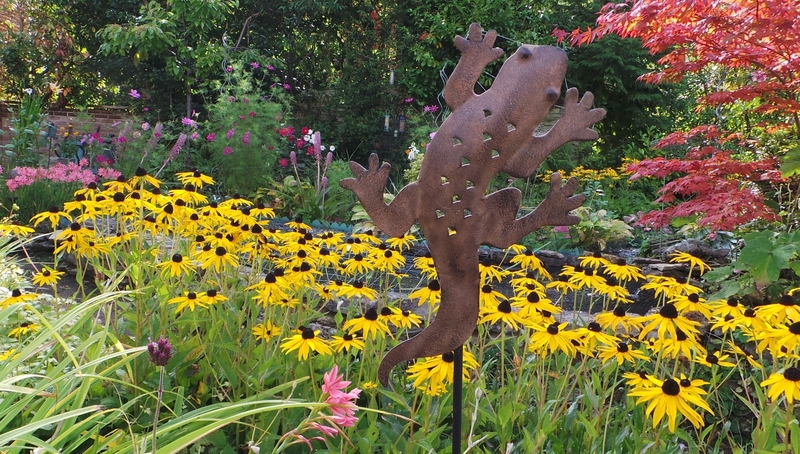 5 Whitehorn Drive is a damp garden with lush colour and surprises in planting. A short distance away in the forest itself are Forest Cottage, a naturalistic garden with hidden delights around each corner, including field of wild orchids, and next door Cove Cottage, a mature garden showing a digital screening of the wildlife found in both gardens year round, which may be of special interest to children. We are also looking for volunteers for the day – would you like to help?! This can be in the form of serving tea and cake, or perhaps baking cakes! Any help would be gratefully received! Please get in touch if you would like to be involved!